Hammocks bring to mind an image of sunny days, green grass, and hiking explorations galore during the warmer months. Winter is depressing, because your beloved hammock gets tucked away until the spring and summer months return. Yet, if you are one of those die-hard hammock campers who want to enjoy the bliss of a hammock even into the winter, packing it away just isn’t doable. Fortunately, staying warm when winter hammock camping is. 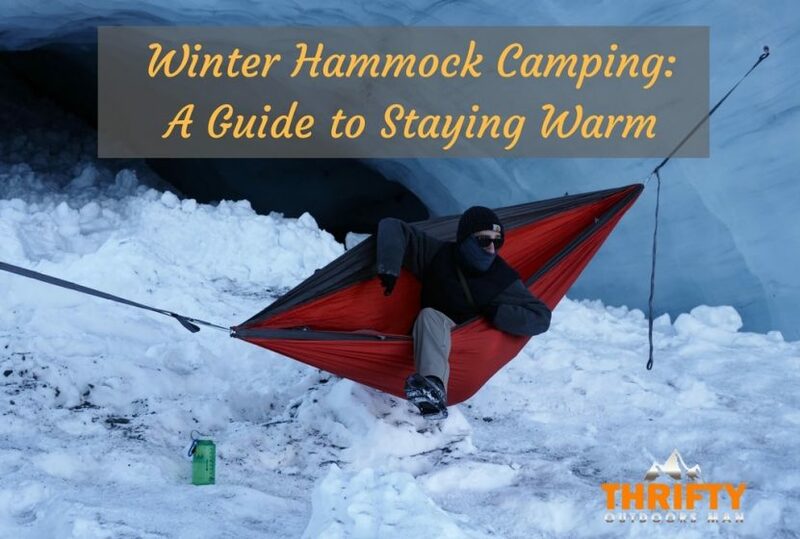 Today, I’m going to tell you some tips to make winter hammocking as enjoyable and toasty as those days under the summer sun. Never pitch a hammock where the cold will gather. Cold pools in low land areas, basins, and other places. This means that the temperature will drop. Moisture will collect. Dewy regions put you at risk of developing condensation inside your hammock, which puts you in danger of hypothermia. A bit of ventilation will keep things dry. If you go too high, however, the wind velocity will pick up. The best place to set up in winter is a mid-level area will a number of trees. 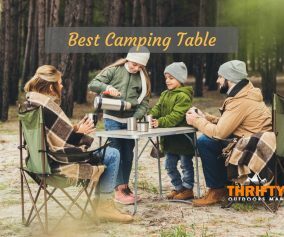 Pick a campsite where there is plenty of natural shielding from the wind so you don’t get buffeted. Depending on the temperature and climate of where you are camping and how much gear you’re willing to pack up, you can pair a couple of these insulation options together to get the maximum heating effect. This is the favorite of many hammock-loving campers. Underquilts are lightweight, insulate very well, and even serve as a wind barrier. You will have a vast amount of options ranging in size, color, shapes, fabrics, temperature ranges, and how you attach the underquilt. Most people will opt for a Climashield synthetic material or goose down. How do underquilts work? They hang beneath the hammock, trapping your body heat beneath you. ENO Vulcan Underquilt -- This underquilt uses PrimaLoft Synergy Continuous Filament Insulation to give you heat in even some of the coldest conditions, despite being a 4-season quilt. The synthetic insulation is rated for 35-45 degrees Fahrenheit. This quilt does a decent job at keeping drafts out and offers shock cord suspension. Plus, the way it’s cut is unique, allowing the blanket to conform to your body. OneTigris Hammock Underquilt -- OneTigris is known for high-grade material, and while this is the company’s first underquilt, they already have it done right. This is rated for down to 40 degrees Fahrenheit, making it an acceptable 3-season model. The insulation is SEE Polyester Filling and functions much like PrimaLoft. The shell is 20D Ripstop Nylon Shell with a DWR coating and 300T Polyester Pongee Lining. Outdoor Vitals Aerie Underquilt or Double Bag -- Lightweight, super packable, and compressible. Yet, this quilt is also 800+ fill power insulation. In other words, it is a multi-functional piece of equipment that can used as hammock insulation, a technical blanket, a pod system, sleeping bag, or even a double sleeping bag that wraps around the outside of the hammock when you combine two of these. It is rated down to 30 degrees F.
If you find yourself packing way too much stuff for your winter adventure and don’t have enough room for an underquilt in your gear, then a self-inflating mat is a good idea. These pads easily inflate and deflate. When you purchase one that is made by an esteemed manufacturer, you are essentially getting a deflatable underquilt that has insulation by separating you from the cold air. You can also decide firmness level when pumping air into them. Some self-inflating pads will even come down-filled. Sea to Summit Comfort Light Insulated﻿﻿ -- The Comfort Light Insulated is a favorite amongst winter hammock campers because of their plushiness and durability. Though this inflating pad is a little heavier than other examples (21 ounces), the 300 AirSprung Cells ensure comfort. Just be careful with the ultralight version of these pads, as the 40D ripstop nylon will still puncture easily. Therm-a-Rest NeoAir Trekker -- A great value for the quality. The NeoAir Trekker comes with 2.5 inches of cushion, 70D nylon bottom, and weighs only 18 ounces. The rectangular design is nice for those who move around when they sleep. It does make some crinkle noises, though. You won’t have to hunt long for a closed-cell foam mat. These pads are a thin barrier from the elements that separate you from the chilly air. CCF pads are a cheap yet durable option. The difference between CCF pads and the other pads would be that these can wrinkle up and irritate you; and depending on the material, these might actually form condensation...which is very uncomfortable to wake up too. Though lightweight, these can also be very bulky. Consider a sleeping bag the cheap imitator of an underquilt. 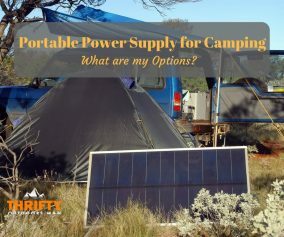 When compressed by the weight of the camper, these don’t do as good a job as the other options on this list. Yet, you can indeed get excellent sleep in the winter with a sleeping bag inside your hammock if you use the correct materials. Get a system that has an insulated bag inside a heavier bag, and also consider getting a waterproof bivy shell. Adding a liner can add up to 8-15 degrees (F) of extra warmth. Do that, and you’ll have no problems. Now that we’ve investigated some insulating options, let’s look at other ways to make winter hammocking more doable. Though this greatly depends on how much support the inside of your hammock gives your head and neck, or if you’re mummifying yourself in insulated sleeping bags. A pillow, however, can be an excellent protector by adding an extra layer of material between your head and the cold surface of your hammock. Not only will you sleep more soundly, but you’ll be warmer as well. Another option would be thickly hooded coat, hoodie, or even a baklava. Therma-a-Rest Compressible -- Aside from the crazy patterns, this pillow is a great budget value and is surprisingly comfortable. The downside is how large it is when packing. Sea to Summit Aeros -- The very small packed size is a definite plus for those who don’t want a backpack made up of sleeping gear. The pillow also provides great support for back sleepers. NEMO Fillo -- Though this pillow is pretty heavy, it’s super comfortable, offers great support, and provides small packing size. You can also adjust the thickness. Just as an underquilt and sleeping bag will help keep the heat from escaping out the bottom from your hammock or cold air leeching away your warmth, a tarp overhead will prevent heat from rising too. A hammock-specific tarp will be your best bet. If you happen to purchase a hammock that already has a rain fly attached, then you already have the perfect heat shield. The other thing that the tarp is good for is protecting the top of your hammock from snow, sleet, and wind. Think of top quilts as the more convenient sibling of sleeping bags. These blankets take comfort to another level by allowing you to enter and enter your hammock easily, because you don’t have to worry about full zipper sleeping bags to wriggle in and out of. Any quilt-style sleeping bag with work. Simply set up your hammock, get inside, pull the top quilt up over your, and zip it up from about calf to knee height, then tuck yourself in. Before you decide to bundle up and snuggle into your hammock, remember to boil up some water for two reasons. First, you can brew up some decaffeinated or herbal tea, which will keep you warm as you sip it and lull you to sleep. Second, pour some water into a Nalgene or thermos. Put on some toasty socks then put the bottle or bag at the foot of your hammock or sleeping bag. The extra heat source is a definite benefit. And, while you might think it’s unsavory, consider a well-marked pee bottle. Cold weather will make you want to urine more often. So instead of unzipping and climbing out of the hammock every 30 minutes, a pee bottle can save you the trouble. Plus, you can then use it as another hot water bottle. But, remember, this bottle should look completely different than your regular water bottle or thermos. You can’t trust color, especially when you’re well hydrated! One of the simplest rules when winter camping is staying dry and warm. You aren’t going to fare too well if you have a bunch of insulation all around you but your clothing isn’t wicking moisture. You need to choose clothing layers that keep you dry, insulate, are waterproof, and breathe. The base layer is next to your skin. Avoid cotton and aim for synthetic or merino wool. These fabrics will keep perspiration from chilling you overnight. You’re going to want to prioritize this layer for when you plan on sleeping outdoors, because of how quick your body temperature drops when you sleep. The middle layer is insulation to retain your body heat. Microfleece shirts, pants, and/or a goose down jacket will keep your heat from escaping while you sleep. It will also feel heavenly inside your sleeping bag or quilt. Last would be the outer layer. While you don’t necessarily have to worry about this when inside your hammock, you are still going to want a waterproof/windproof/breathable layer either as a piece of clothing or surrounding your, as a sleeping bag, insulation bag, or what have you. 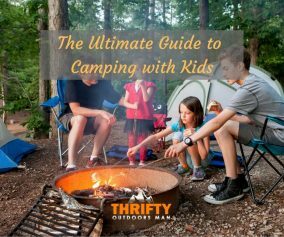 One of the most important parts of backpacking and camping is knowing your limits. How much cold can you take? How much time will you have to set up your hammock before the lowest temperatures of that day roll in? Are you prepared to weather out nights colder than your anticipated? 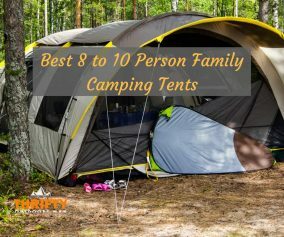 You have to think about these things and whether a tent is appropriate or not. Most hammock campers put their winter hammocking limit on 32 degrees Fahrenheit (0 degrees Celsius). Some people have survived -40 degree nights in a hammock, but it’s not recommended. Careful planning and understanding of how much gear you will need to make it through the night is critical. The cold won’t be enough to stop your hammock camping and hiking expeditions if you make good on these tips. Remember to insulate and block your hammock from the cold, wear the appropriate clothing, and choose your campsite carefully. Always research the typical weather patterns of the region you are visiting so there are no surprises. Have fun out there, and stay warm! This is a very detailed article. It saves my day.